Some fiberglass canoes have come in for some work. 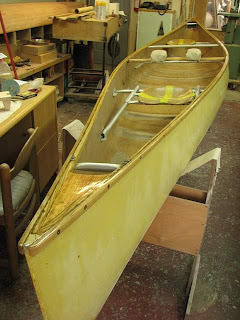 None with major work to do, so I am getting them all done and out before I star the bigger jobs awaiting me. 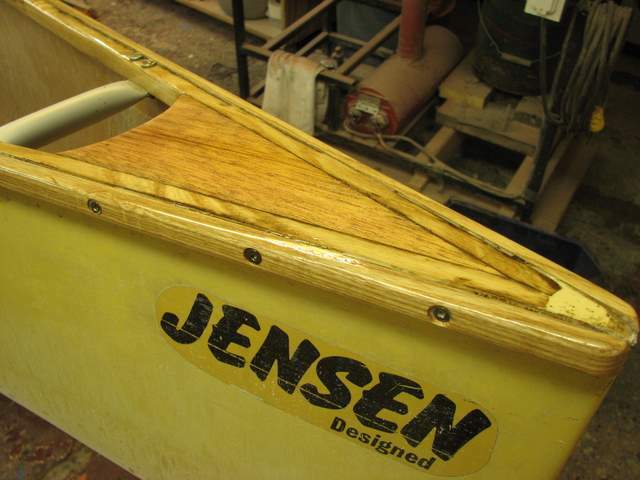 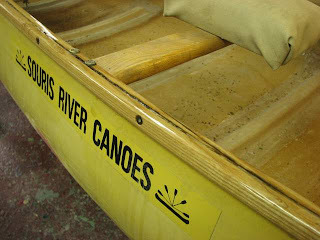 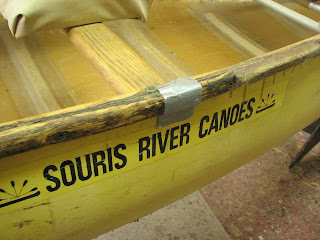 First, a Souris River Eugene Jensen designed canoe needing new outwales.